Classification and regression tree (CART) analyses have not been explored yet in the field of food physicochemical analysis, to the best of our knowledge. 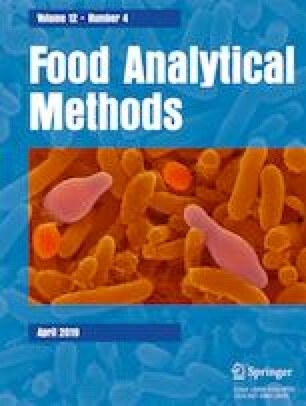 In this work, we tested its classification performance on a set of physicochemical data from raw milk samples from Southern Brazil we already analyzed via well-known supervised methods in a previous work. CART performed better than most of the previously employed methods regarding specificity, sensitivity, and accuracy when classifying samples from the training set. These findings suggest CART could also be employed to classify milk samples as compliant or not to Brazilian regulations and possibly to other countries’ regulations as well. Lucas Hansen declares that he has no conflict of interest. Marco Flôres Ferrão declares that he has no conflict of interest. Publication has been approved by all individual participants. Brasil (2006) Ministério da Agricultura, Pecuária e Abastecimento. Instrução Normativa n° 68 de 12 de dezembro de 2006. http://extranet.agricultura.gov.br/sislegis-consulta/consultarLegislacao.do?operacao=visualizar&id=17472. Accessed 02/09/19.